Something is always happening in the world of tech, and the past 24 hours have been no exception to that – here are five of the most interesting stories picked out from our friends at TechRadar, including details on the Apple HomePod and Huawei's next flagship phones. 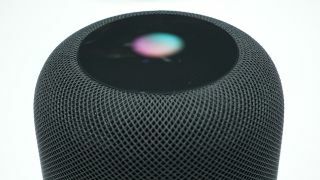 Apple is finally ready to take on the likes of the Amazon Echo and Google Home with the launch of its smart HomePod speaker, with built-in Siri and excellent audio (at least that's what Apple says). The first consumer units are scheduled to go out today and if you put an order in now, you should still get it sometime next week – just make sure you've got an iPhone handy if you buy one, as you'll struggle to use it with anything running Android. Maker of smart home gadgets Nest has had a varied history, having been bought by Google in 2014, then spun out of Google under the broader Alphabet umbrella. Well, now it appears that Nest is back as part of Google again, no doubt as part of Google's renewed interest in making hardware. That should mean products that work better together for us humble consumers, and possibly a Google Pixel Thermostat in the not too distant future. Dual-lens cameras are old news now, because triple-lens cameras are on the way. Ahead of the big Mobile World Congress trade show at the end of the month, renders of the new Huawei P20 Plus have leaked out onto the web – and as the rumours suggested, there are three cameras on the back. We're also expecting to see an iPhone X-style notch on the front of the device, as well as separate Huawei P20 and Huawei P20 Lite phones as well. Speaking of phones breaking cover at MWC at the end of February, we've also caught a glimpse of the new DeX Pad accessory slated to be launching at the same time as the Samsung Galaxy S9. Like the DeX docking station that preceded it, the Pad will apparently let you use your phone to power a full desktop Android experience, if you've got a monitor and keyboard to hand. We should get an official unveiling within the next couple of weeks. Technological progress never stands still, and 5G is set to become a reality in the near future – even faster cellular speeds for browsing the web and streaming music and movies while you're away from Wi-Fi. According to chip maker Qualcomm, manufacturers including LG, Sony and HTC have signed up to use its 5G-enabled technology from 2019, so we should see the first 5G-capable phones that year – even if the network isn't in place.